Bicycling Under The Influence – Are You Breaking The Law? Texas Bicycle Accident Lawyer: Can You Legally Drink and Bike? As a bicycle accident attorney, I often find myself in conversations with bicyclists about whether riding under the influence is legal. This topic has recently gained steam, especially with the introduction of more bicycle lanes in urban areas (connecting residences to watering holes) and the growing popularity of pub crawls such as the monthly Critical Mass ride in Houston. The answer to whether pedaling under the influence is legal depends on each state’s respective DUI laws. This article addresses the issue in Texas, Louisiana, and Mississippi. DUI laws in most states prohibit the operation of a vehicle while under the influence. Nevertheless, “vehicle” is a broad term that could arguably apply from a skateboard to an oil tanker and everything in between. Therefore, we must look to each state’s DUI laws to determine whether bicycles are included in the definition of prohibited vehicles. In Texas, the law (Tex. Transp. Code Ann. §49.04) that prohibits driving while under the influence of alcohol or other controlled substances is written so that it applies to motor vehicles and therefore does not directly apply to bicyclists. Louisiana has a DUI law that prohibits the operation of a motor vehicle, aircraft, watercraft, vessel, or other means of conveyance while intoxicated. The issue relating to bicycles came to a head in 2000 when the Louisiana Supreme Court decided the criminal case of State v. Carr, 761 So.2d 1271 (2000). In Carr, the Court held that the DUI law did not apply to a bicycle because both the interpretation and intention of the law were ambiguous in their application to bicycles [ed: same is true according to a South Carolina Attorney General’s opinion]. Since Carr, Louisiana lawmakers have not amended the statute to include bicycles. In contrast, Mississippi’s law (Miss. Code Ann. §63-11-30) that prohibits driving while under the influence applies to all vehicles, including bicyclists. Therefore, bicycles should not be operated while intoxicated and operating a bicycle while under the influence of alcohol or other controlled substances may result in severe punishments. Nevertheless, simply because an activity is legal doesn’t necessarily mean that it’s a best practice. Intoxication may be more closely linked with activities that increase the risk of injury, such as riding without a helmet, at night, or without lights or reflective devices. Studies have confirmed this as well, such as one that analyzed 200 injured bicyclists at a trauma center in Austin, TX. This study found that 40 of these cyclists either had elevated blood alcohol levels or reported consuming alcohol. Additionally, this study found that bicyclists who had consumed alcohol had a higher rate of injury while riding at night or in the rain. Even in light of a separate 2007 study demonstrating that more bicyclist fatalities result from motorist intoxication than bicyclist intoxication, we encourage bicyclists to avoid riding under the influence when possible to ensure a safer shared roadway dynamic between motorists and bicyclists. 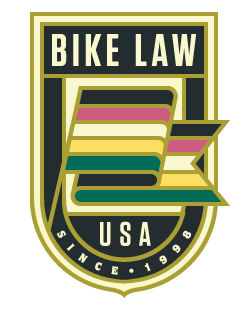 This article, Bicycling Under the Influence – Are You Breaking the Law?, was originally published on Bike Law on May 13, 2014. Does riding without a helmet increase the risk of injury? Your article appears to state so.